I've been reading about this new engine from Hyundai that's going in the new Sonata and now also the new Kia Optima. It's a turbo charged 2.0 liter inline four cylinder with 274 hp, 269 torque and 34 mpg highway. I like those numbers. Makes me want to consider a 2-3 year old used Sonata or Optima 2.0T in a few years. I think the '11 Optima looks better though. Here's some pics of the '11 Optima. Unlike the Sonata, the new Optima is going to have optional heated AND cooled seats. I've been dreaming about having a car with air cooled seats for years and years. I can't count how many times I've driven with my sweaty back off the seat in the brutal heat of South Florida. I'm not crazy about those wheels, but the body looks great. not going to get much love for that here. but good luck with the thread! I LOVE the new Optima. 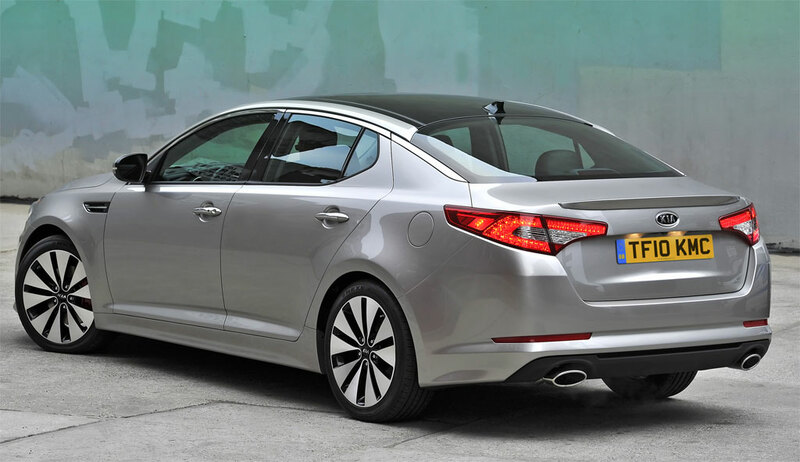 The Forte was just the start of Kia's big change, now the Optima is going to benefit from the new AWD Turbo Sonata. 275HP, AWD, sedan and 34MPGs? Sign me up, please. No offense, but that's a completely absurd reason to dismiss the car.